“She’s just angry. 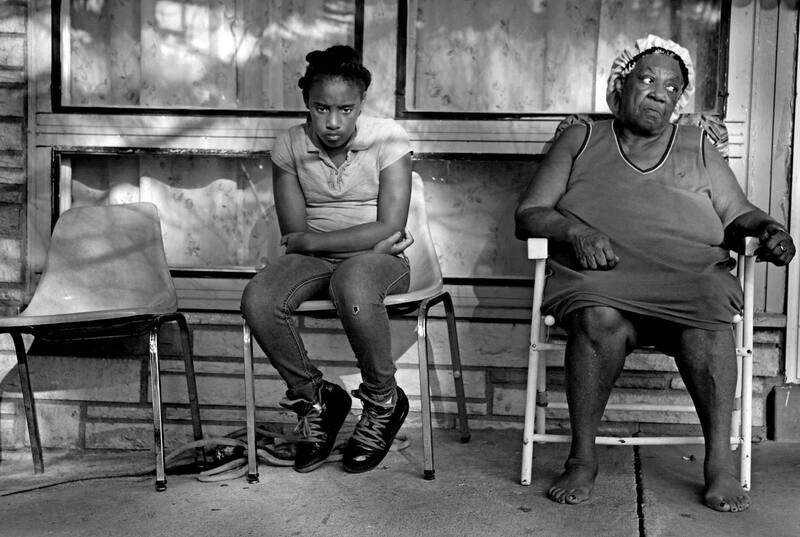 Everything makes her mad,” says Mardie Sonnier, 67, about her granddaughter Destiny Sonnier, 9, as the two sit outside their Ferguson home in October. “She’s been through a lot, and she’s doing a good job taking care of herself,” Sonnier says. “I made sure she’s in with a counselor.” Destiny father was murdered in 2013 and her friend Jamyla Bolden, 9, was killed in 2015. Soon after Jamyla was shot, Mansur Ball-Bey, 18, a cousin of Destiny’s, was shot and killed by police. Sonnier would like to adopt Destiny, but she says that she could never raise the adoption fee.